Fingerless mitt designed and knit by Nancy Bush, embroidered by Kate with some of her handspun yarns. I had such a wonderful time teaching with Nancy Bush in March. 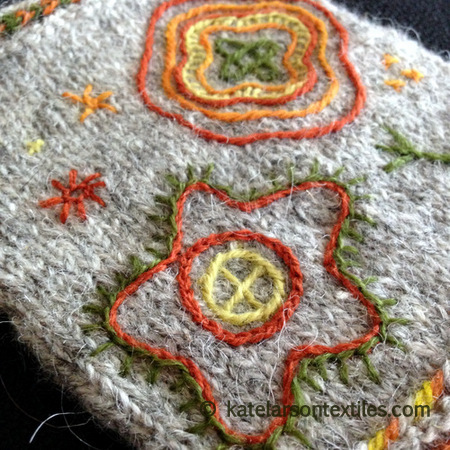 It was a full weekend of spinning, knitting, and embroidering Estonian-inspired handcoverings. Nancy brought a breath-taking pile of embroidered textiles which she has collected during her many travels in Estonia. Spreading Leicester love at Yarn Fest 2015. Interweave Yarn Fest! I traveled to Colorado for the first Yarn Fest event. 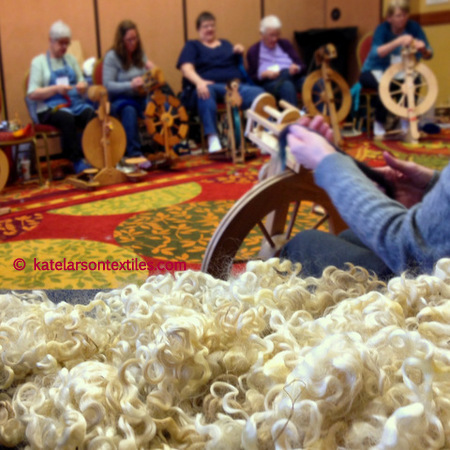 There were workshops for spinners, knitters, crocheters, and weavers. The market was great and the keynote speaker was Wild Fiber Magazine‘s Linda Cortright. I wrote more about the event on the Spinner’s Connection blog. I have a new pattern coming out soon. 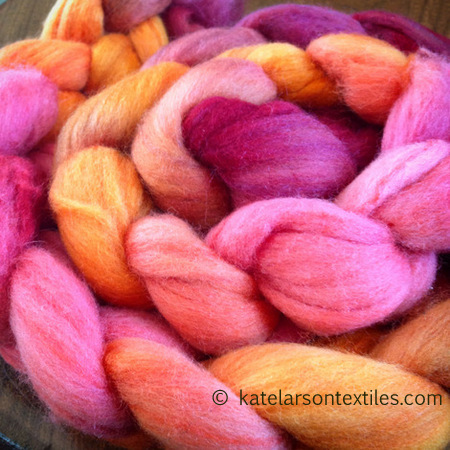 Secret for now, but here is the gorgeous fiber that inspired the project—combed polwarth/silk top from Copper Corgi Fiber Studio. This was a happy spin. More on this soon! 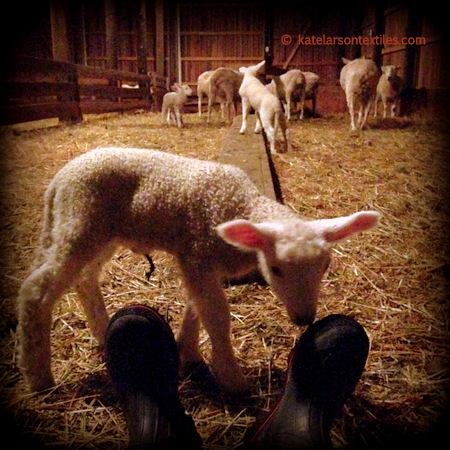 And this is where I can be found right now—in the lambing barn! Most of my sheep have their lambs without assistance, but when they need help, I’m at the ready. So, I try to check on them about every four hours during lambing. Nearly all of the lambs have arrived now, and I’ll post pictures and a video soon. After I get a good night’s sleep, that is! Find me on Instagram and Facebook for more pictures of the lambs. Excited for you new pattern, Kate. And congrats on the new lambs!!! Thanks, Tom! Hope you are doing well this spring.